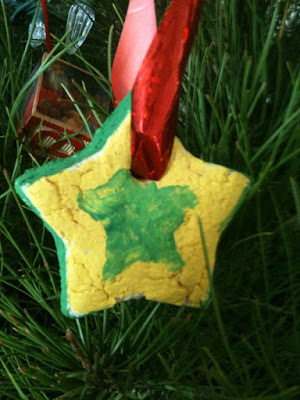 This is an easy weekend ornament project. 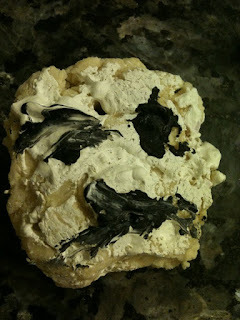 Mix everything together until the dough is formed. 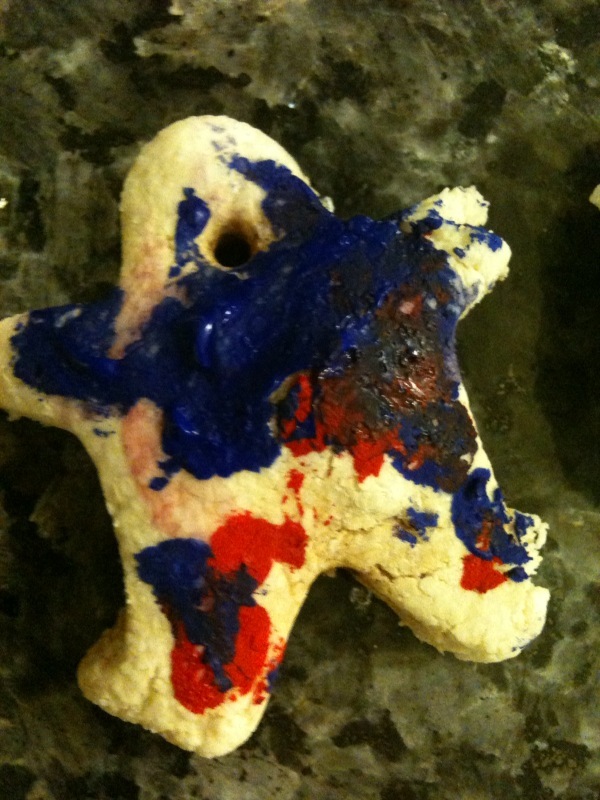 You may need to keep adding flour little by little until it's no longer sticky. 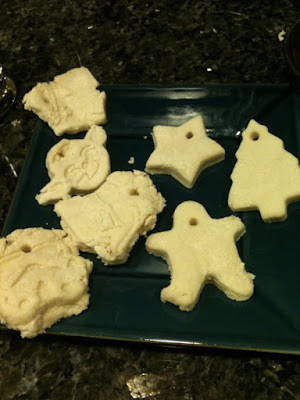 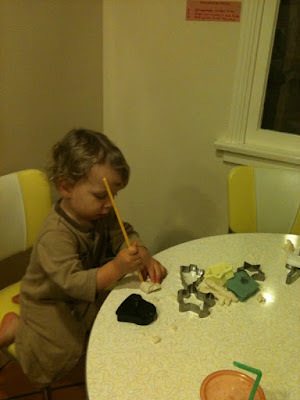 We used cookie cutters (both Christmas-themed and Star Wars-themed) to mold dough into shapes. 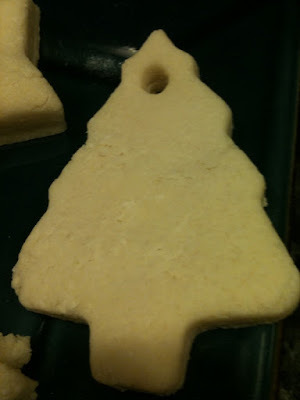 Using the chopstick, place a hole at the top of the dough ornament. 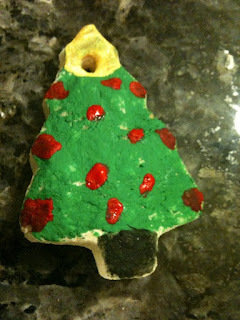 Place in microwave and begin zapping on high in 30-second increments until ornament is hardened. 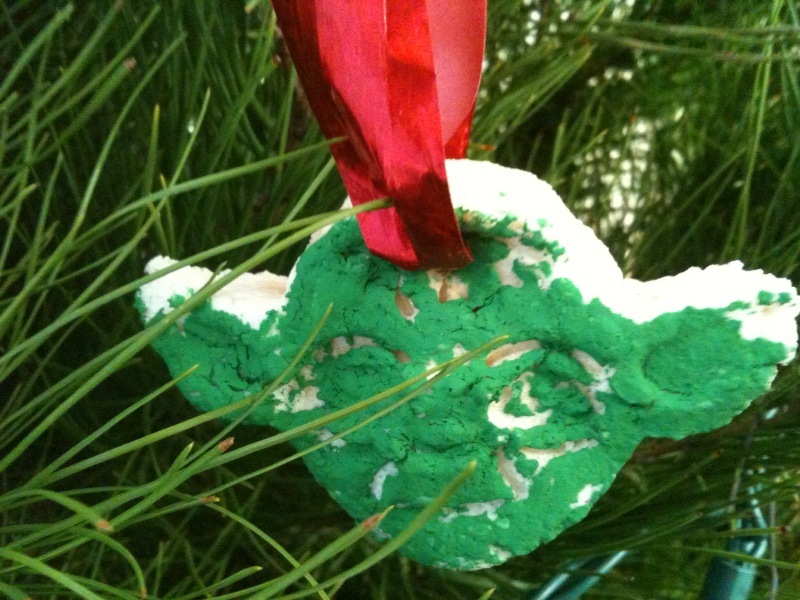 For most ornaments, this took about a minute and thirty seconds. The uber-thick ones took about two minutes. 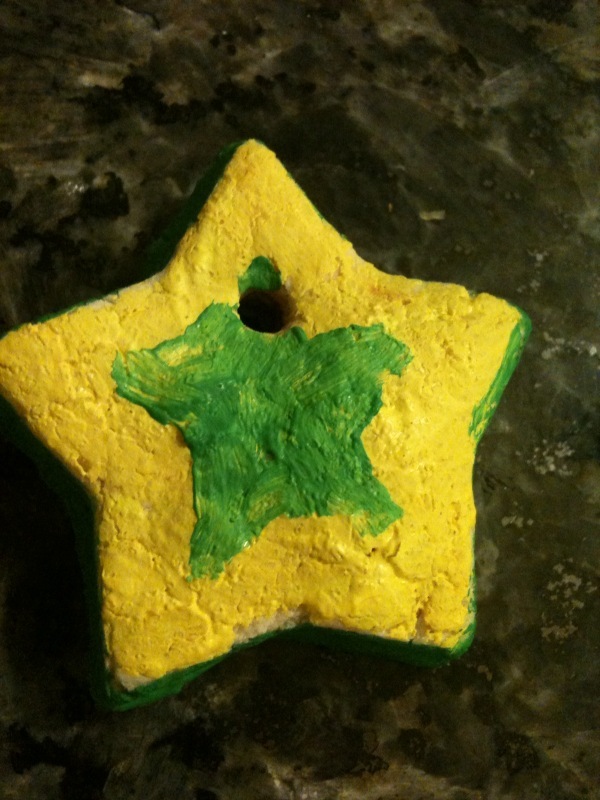 Wait for ornament to cool and then paint. Let dry and add string to hang from tree!